On Sunday night, a gunman, using the cover of night to hide his identity and approach, fired a bullet into the back of Anthony “Parwaâ Dalzellâs head. 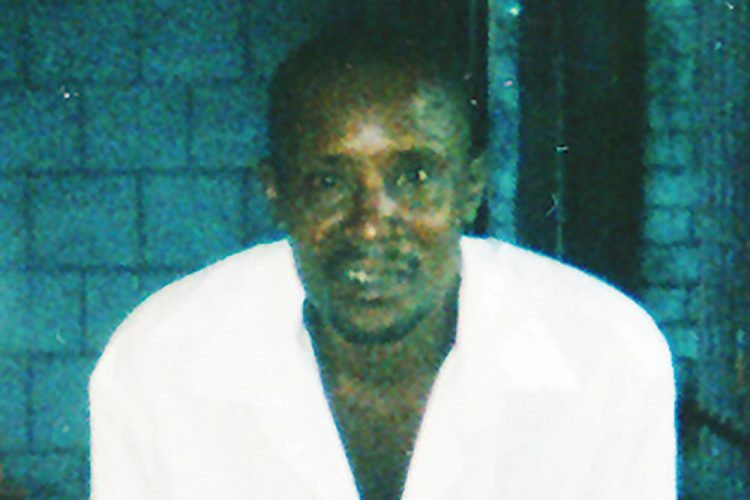 Dalzell, a 50-year-old labourer of McFarlane, Park Hill, was sitting alone, under a shed at a usually busy liming spot at Park Hill, when he was mortally wounded around 9 pm. The father of one died on the spot and his body was discovered by a villager who called other villagers and summoned the police. On Monday, Anita Dalzell, Anthonyâs mother said that her son was a heavy drinker and when he was drunk he would swear a lot, something that she did not appreciate because of her Christian beliefs. She however noted that although he had his faults, he was her son, one of ten children, and she loved him. “I feel so sad, just to drop down, but Iâm trying not to drop because I have sugar and pressure, but right now Iâm worried and not quite satisfied,â said Anita while standing outside her McFarlane home. “I canât say why anybody would want to do him that, but he had a few persons that donât like him,â said Anita who told SEARCHLIGHT that she was informed that the bullet entered the back of Anthonyâs head and exited through his face. She last saw her son on Sunday, a few hours before he was shot, and asked him to buy biscuits for her at a nearby shop, but he refused. “He said biscuit not good for you and he left and went to bathe,â recalled Anita. Julia Cornwell, Anthonyâs sister said she feels sad about her brotherâs slaying. “When I get the news, it shock me. I canât do nothing, he done dead already,â said Julia who revealed that her brother would have been 51 in December. She said that she last spoke to him “a day last weekâ but saw him on Sunday. Anita noted that while the family would like justice, they are certain that there would be none. She said that Anthony went to prison once for a fight resulting from a family dispute but she has no idea why anybody would want to kill him. A resident of the area said there were several persons in the community who disliked him because of his drunken rages and the way he behaved when intoxicated. Anthonyâs 13-year-old daughter turned down an interview stating that she and her father were not close and not on speaking terms when he died. When SEARCHLIGHT visited the area where Anthony was shot, the area was filled with people. Persons were playing dominos in the same spot where Anthony was sitting when he was killed. One woman said that no one was around when Anthony was fatally wounded.